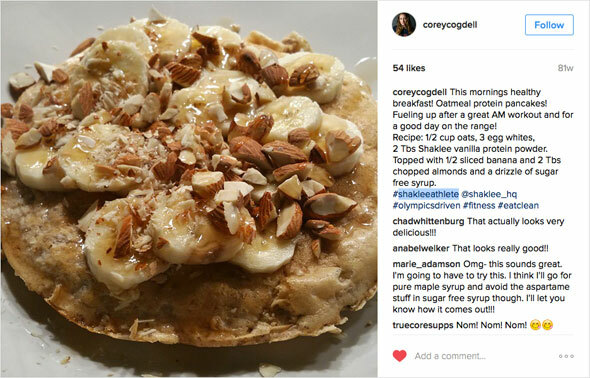 In January 2015, Olympic star trap shooter Corey Cogdell posted this very tasty looking recipe on her Instagram account. She included the ingredients amounts in the post, but we took the liberty of writing the instructions below, which were not included. In the 2016 Rio Olympics, Cogdell won bronze in Women's trap. In a medium bowl, lightly beat the egg whites. Add the oats and protein powder and mix thoroughly. In a lightly greased griddle or frying pan set over medium-high heat, dollop the pancake batter in 1/4 cup amounts. Fry until underside is lightly browned - about 2 minutes. Flip and fry other side for 1 minute. Top with sliced bananas, chopped almonds and a drizzle of syrup. 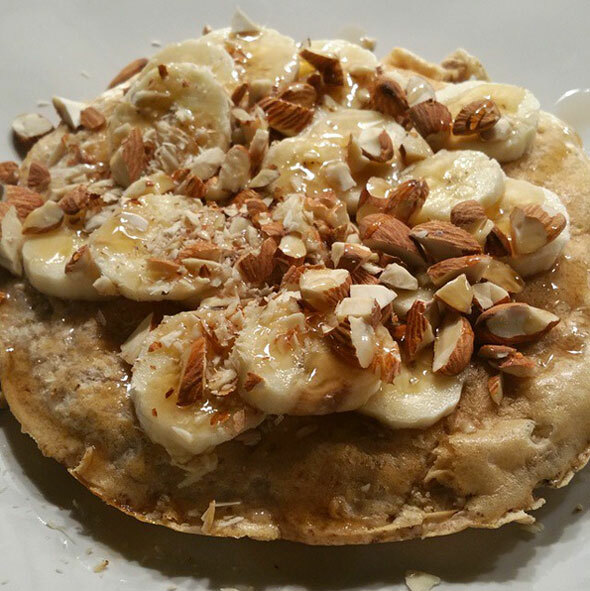 Healthy pancakes to give you the focus and stamina of an medal winning Olympic marksman. Recipe number 3281. Submitted 8/8/2016.